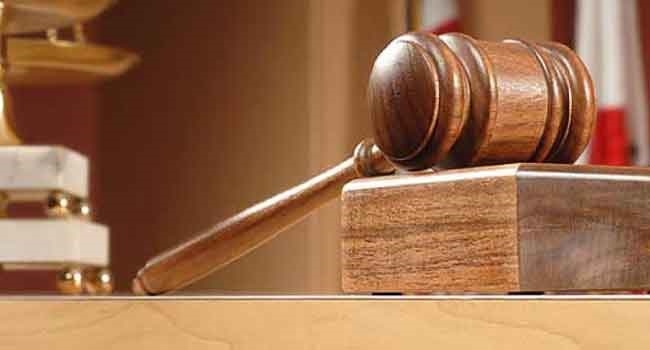 A driver is standing trial before an Ikeja Magistrates’ Court for cheating and assaulting a food seller after allegedly eating without paying. The police in Lagos on Monday arraigned a 32-year-old bus driver, Alex Okoroafor, who allegedly ate a N200 plate of food and snuck away without paying for it. The accused, a resident of Sango-Ota, Ogun, is standing trial for cheating and assault before an Ikeja Magistrates’ Court. According to the prosecutor, Insp. Clement Okuoimose, the driver snuck away after eating the food at the Hajj Camp of the Murtala Mohammed International Airport, Ikeja, on August 25. Okuoimose said that the accused cheated Mrs Queen Emmanuel, who sold the food to him. “The accused absconded without paying for the food he consumed,” he said. Okuoimose said that Emmanuel saw the driver some days later and demanded for her money but he assaulted her. “When the complainant demanded for her money, the accused denied and took a plank with a nail and hit her, causing an open injury on her leg. “The accused was then arrested,” he said. The accused, however, pleaded innocence of the offences, and was granted bail by Magistrate M.I Dan-Oni in the sum of N50,000 with two sureties in like sum. The magistrate ordered that the sureties must be gainfully employed and have evidence of two years’ tax payment to the Lagos State Government. The case has been adjourned until Sept. 27 for mention.